When I recall the great teachers I was blessed with over the course of my lifetime, I realize that one thing comes to mind: they were a diverse group. What did they all have in common? They all were thinkers and intellectuals, each in his own distinct field. And they were all imaginative. They combined sechel with regesh, intelligence with emotion, information with creativity. In this week’s Torah portion, Vayeshev (Genesis 37:1-40:23) we meet Joseph, the dreamer. He was not the first person in the Bible to dream. His great-grandfather Abraham dreamt and his father Jacob dreamt several times. But Joseph not only dreamt himself. He paid attention to the dreams of others: the chief baker and chief cupbearer in this week’s parsha, and King Pharaoh in next week’s parsha. Joseph was the first person in the Bible to attempt to interpret dreams. In modern terms, he was the first to use intellect in order to analyze the quintessential product of the imagination, the dream. It is no wonder, then, that Joseph was the first person in the Bible who is referred to as a chacham, a wise man. Jewish tradition has always revered the intellect. 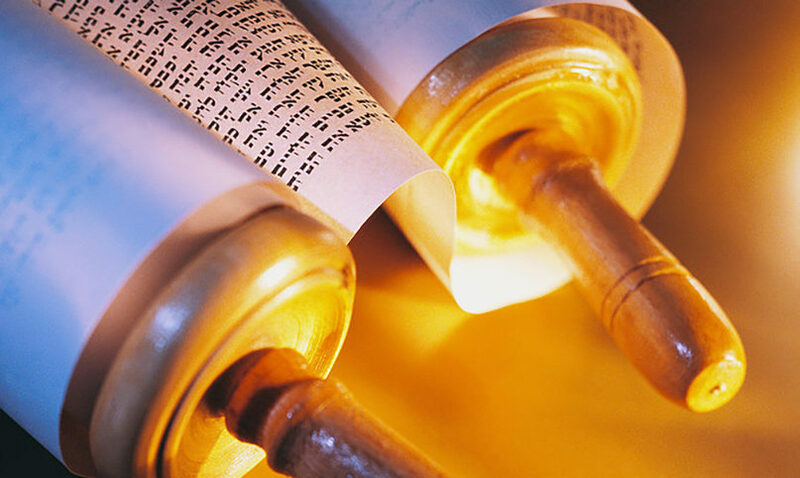 The paramount mitzvah in our religion is Talmud Torah, Torah study—an intellectual pursuit if there ever was one. We are proud of the towering geniuses in our history: Rabbi Akiva, who could “uproot mountains and grind them together” with the power of his intellect; Maimonides, who composed his commentary on the Mishnah while still in his teens and went on to write his magisterial code and his awesome philosophical treatise; the Gaon of Vilna, whose genius encompassed every aspect of Torah and extended into the fields of mathematics and astronomy. But what about the imagination? What place does that have in our tradition? The answer lies buried in the writings of two of our greatest philosophers: Maimonides, in his Guide to the Perplexed, and Rabbi Yehuda Halevi in his fascinating work, The Kuzari. I can only briefly summarize the differing positions these two sages took on the subject of the koach hadimyon, the power of the imagination. I trust that the reader will understand that I am simplifying very complex ideas. For Maimonides, reason is the essential quality of man. Intellect is all-powerful and all-important. Philosophical expertise is a prerequisite for spiritual achievement. The imagination, according to Maimonides, is clearly secondary. It is limited to the sensory world and cannot transcend it. It is inadequate when thought is required. Even the prophet, whom one would think exemplifies the imaginative person, is basically a philosopher blessed with an additional skill: imagination. Rabbi Yehuda Halevi, on the other hand, sees the imagination in very positive terms. For him, it is an alternate way of perceiving the world and, in some ways, is a superior method of perception. The intellect can perceive the world of physical reality, whereas the imagination has access to spiritual reality, to the inyan eloki, the “God factor.” The prophet, according to Rabbi Yehuda Halevi, is essentially a mystic, not a philosopher. What is the relevance of these philosophic discussions to our everyday lives? Experience has taught me that our imaginations help us achieve some very important interpersonal goals. First of all, our imaginations enable us to put ourselves in the shoes of another person, to sense what he or she is going through. This is the skill of empathy, which is so essential if we are to get along with others. To be able to feel what another person is feeling requires an active imagination. Too often, we are limited in our ability to empathize with another because we only know our own feelings and reactions and fail to comprehend that the other has different feelings and different reactions, even to the very same circumstances. Imagination is not only important if we are to get along with others. It is also necessary if we are to succeed in life, for success requires the ability to envision new possibilities and creatively discover the options that are available in challenging circumstances. Problem-solving cannot be done with intellect alone. Flexibility and creativity and an imaginative vision are absolutely essential counterparts. It was his imaginative capacity that allowed him to develop new options and to plan to avert the famine that threatened to annihilate the entire then-known world. Joseph’s role in the history of our nation is as a model of the exquisite blending of intellect with imagination. This balance is required of all of us if we are to understand each other, if we are going to succeed in life, and if we are to personally experience personal growth. Joseph’s example is one that we are challenged to emulate and which we are assuredly capable of following in our own lives.